As the weather starts to get warmer, you begin pulling all of your summer clothes down from the attic and restocking your closet. You’ve been working on getting a great beach body but feel like it’s not going to distract from your noticeably stained and slightly crooked smile. 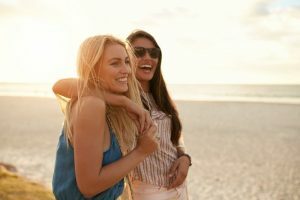 Between all the outings and events you have planned this summer, you know you’re going to be tagged in hundreds of candid pictures and want to look great, even when you’re not trying to. Lucky for you, you have a few options to put your smile makeover into motion. How Do Dental Implants In Oklahoma City Work If You Have Dentures? People have needed a way to replace missing teeth for longer than you might have thought. In fact, dentures have been around since 700 BC! Granted, they were made of human or animal teeth and thin metal wire, so they were quite a bit different back then. 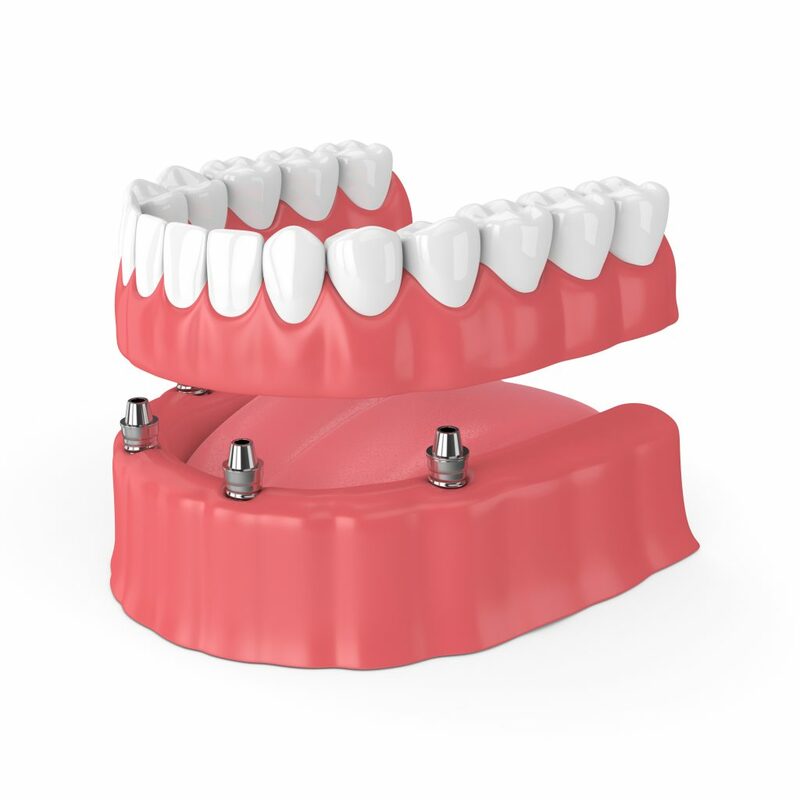 Today, restorative dentistry has come a long way and dental implants have changed everything for patients after tooth loss (especially those who currently wear partial or full dentures). 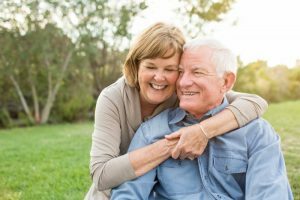 Learn more below about how dental implants in Oklahoma City work in combination with dentures, and how they can dramatically improve your oral health and overall quality of life! Comments Off on How Do Dental Implants In Oklahoma City Work If You Have Dentures? A dental implant restoration gives back to the patient the things that time, lifestyle factors, or medical conditions have taken away. Modern Implant materials and techniques are considered state-of-the-art in the dentistry profession. 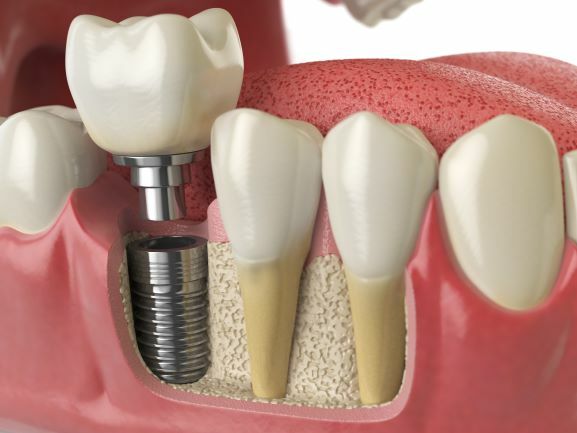 Despite these facts, many who could benefit from dental implants hesitate because of worries about pain or discomfort. But are their concerns overblown? Let’s see. Sedation dentistry in Oklahoma City can free you from the fear and worry that comes with seeing the dentist. Modern medical technology enables your dentist to tailor the amount and type of sedation to your needs, whether you’re undergoing extensive care or just a simple procedure. Your Cosmetic Dentist in Oklahoma Lists 7 Benefits of Porcelain Veneers! You’ve been living with flaws in your teeth, and you’re looking for ways to make the necessary improvements. Furthermore, you changes that will be both effective and lasting. Is it possible to meet both goals? 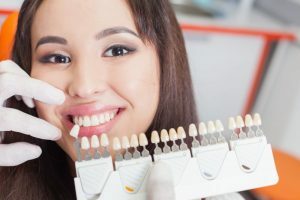 Your cosmetic dentist in Oklahoma says there is, and as you continue reading, you’ll learn 7 ways that porcelain veneers get the job done! Comments Off on Your Cosmetic Dentist in Oklahoma Lists 7 Benefits of Porcelain Veneers! For many people, fall is characterized by the “three F’s”: football, family, and food. However, all that time spent around the grill at football tailgate parties or around the family dinner table at Thanksgiving can increase the risk of tooth decay. Navigating this time of the year is always tricky when it comes to maintaining your oral health but following the advice of a dentist can help. Here are some helpful tips on how to maintain good oral health during the harvest season. My Dentures in Oklahoma City are Loose! What are My Options? You’ve had it! You’ve been embarrassed more times than you can count. Your denture has fallen into your soup during lunch with friends for the last time! You’re finally ready to contact your dentist and learn more about your options for a more secure fit. Here are some options to consider for improving your dentures in Oklahoma City. Comments Off on My Dentures in Oklahoma City are Loose! What are My Options?